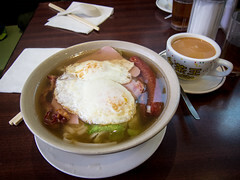 My first visit to a Hong Kong style cafe left me confused and kind of intimated. 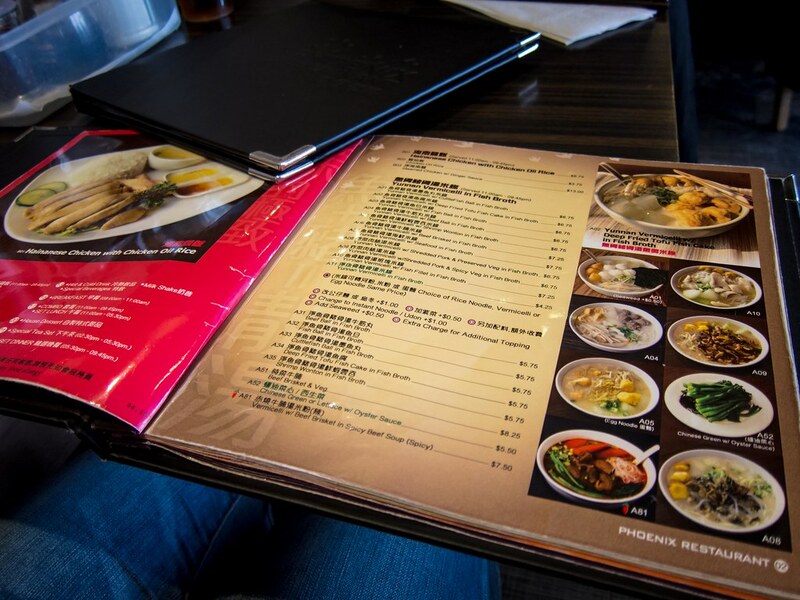 The menu was extensive, a fusion of cuisines and there was so much thousand island dressing. Now, they’re one of my favourite types of restaurants to grab lunch with a delicious Hong Kong style milk tea. Atmosphere: Phoenix has been around for a long time and has multiple locations throughout Markham. The Fiance and I grabbed lunch at their Raymerville location in between running errands and working on wedding crafts. We arrived at close to 2pm and there was still a short queue for tables. It was busy, full of families and students. Service: For a casual restaurant (almost fast, casual), the service was standard. There were lots of servers in the dining area and you could flag down anyone for a request. In these situations, I always have trouble being getting attention (too slow? too quiet?) but the Fiance had no problems. Food arrived within five minutes of our order being placed. Food: With lunch and daily specials under $10 after tax and tip, the value’s there 100%. I ordered their Yunnan Noodles with fish balls while The Fiance stuck to their signature Hainanese Chicken. My bowl was only $6.95 and came with a Hong Kong style milk tea. 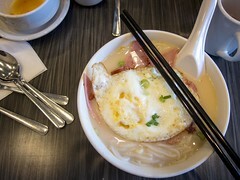 With the Yunnan noodles, there’s plenty of topping options (like at a Pho restaurant) for the round vermicelli noodles and milky fish broth. 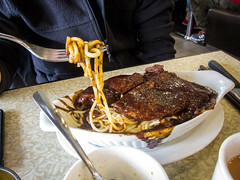 The noodles were warm, comforting, savoury and lightly seasoned. 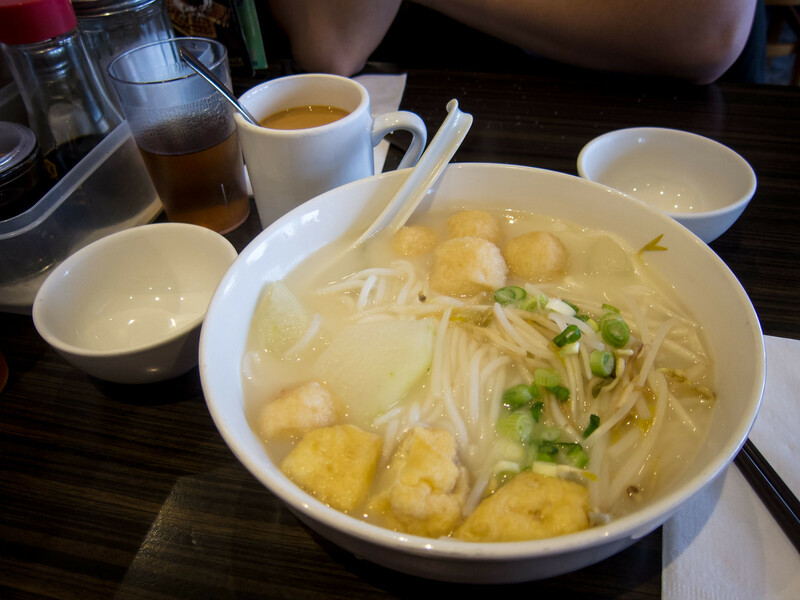 There was ample toppings of bean sprouts, fish balls, tofu puffs and wintermelon. 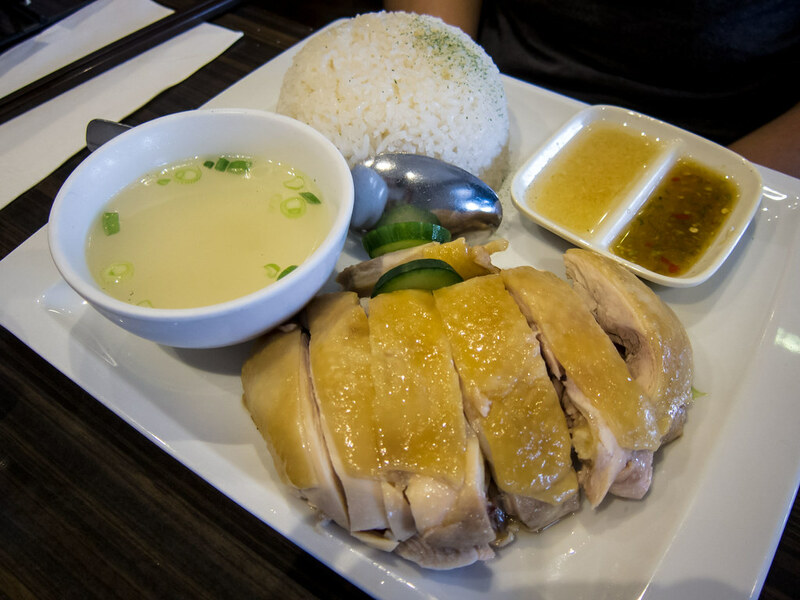 My own order was plenty filling but I left room to taste the Hainanese Chicken, which was very rich in flavour and tender. 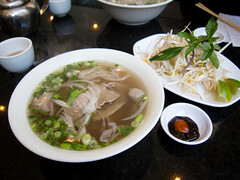 I loved the salty, oily broth served alongside to season the meat and rice. Yes it’s salty, but delicious. I would love a similar restaurant closer to the condo, good simple food, with lots of variety at a great price (my waistline would not love it though).